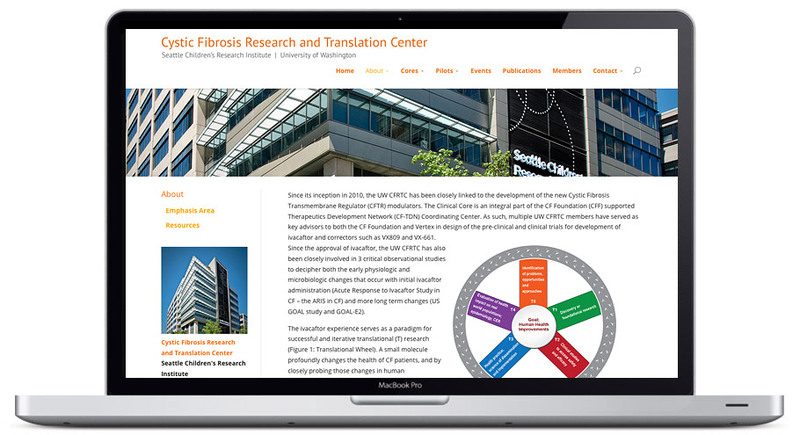 Since its inception in 2010, the primary goal of the Cystic Fibrosis Research and Translation Center (CFRTC) is to be a world leader in clinical-translational science in cystic fibrosis (CF), spanning from early drug development to dissemination into the CF community. 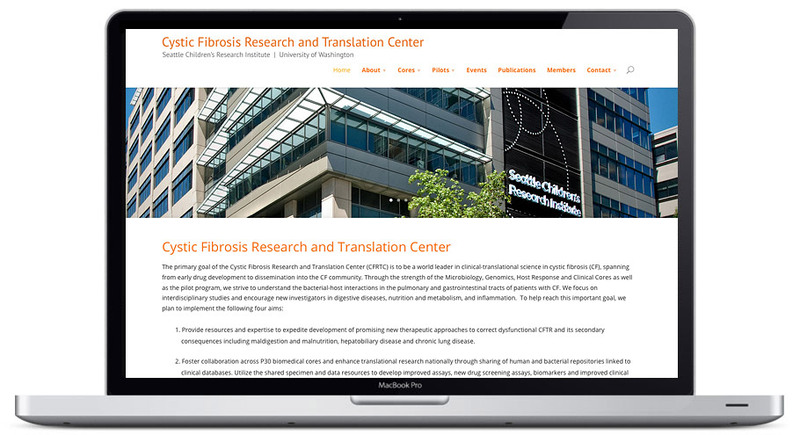 The University of Washington CFRTC came to our Seattle Web Design team with the goal of analyzing the weaknesses of their current website and developing better information and data flow to create a more user friendly experience. 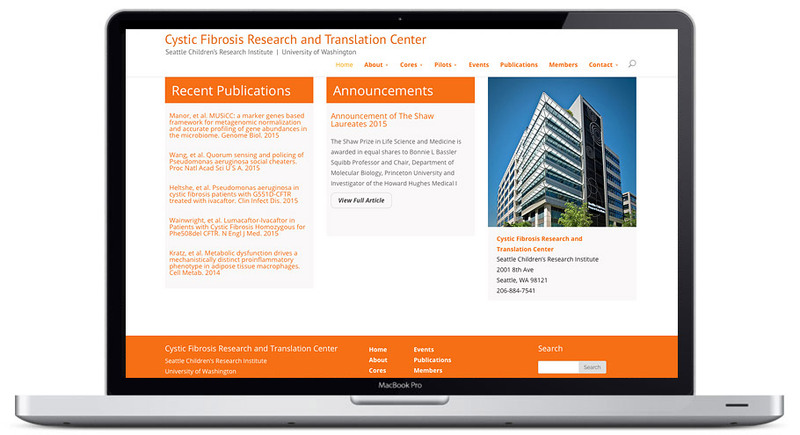 Hang Wire was able to create a more concise and intuitive web architecture, while also providing a clean and modern web design.